On January 18th, 2005, as an intermediate presentation of their own project, children had a video conference globally through the Internet at Awaji Yume Butai International Conference Center. At the same time, there is an exhibition of pictures drawn by the children in Bam, Iran, photos showing the life in Bam and the messages to people suffering Niigata Chuetsu earthquake from all over the world. 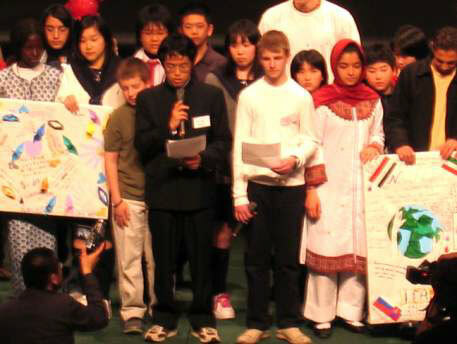 After the six months of collaborative learning, participants had the Natural Disaster Youth Summit 2005 in Hyogo in Japan on 25-28th of March. Think about the importance of human life! This is a project in which children will learn the importance of human lives and how to survive from Natural Disasters with students who have experienced earthquakes and other disasters. Earthquake and suffered much damage. We realize the fear of natural disasters. We learned the importance of human life and the importance of cooperation. We can not stop natural disasters, however, we can decrease the damage from them. This is what we learned through our experience. In this project, we are aiming at Empowering Children Against Natural Disasters. Children make a group at their schools and then choose one or more topics according to their interests. Each school group decides its own project topics and goals. During September to November, each group carries out its project according to the topic chosen from five themes. At the end of November, each group completes researches and creates products such as presentation materials or a booklet. While working for their projects, children and teachers join in one or more forums out of five topics. In the forum, children will discuss and share their knowledge of Natural Disasters. For six months, children continue their study using the worldwide network of the disaster reduction education. 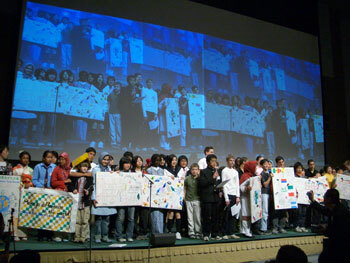 After the six months of collaborative learning, participants have the Natural Disaster Youth Summit in Hyogo, Japan, 25-28th of March, 2005 as a presentation stage for their six months study. 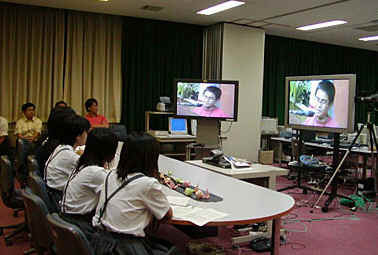 On January 18th, 2005, as an intermediate presentation of their own project, children have a video conference globally through the Internet at Awaji Yume Butai International Conference Center. Choose one or more topics and starts a project. Each group makes a product according to the selected topics. Natural Disaster Youht Summit 2005. ・They will help people in trouble as a global citizen. Japanese & other languages will be used as a supportive language.